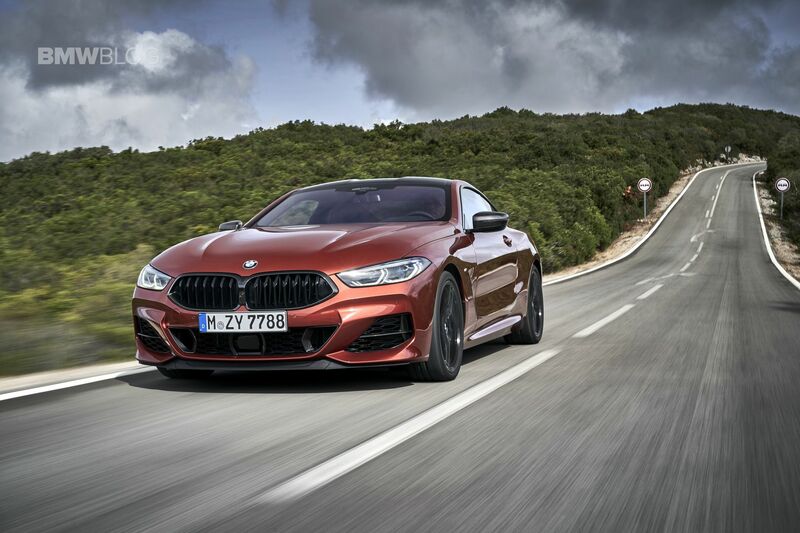 We went to Portugal to test drive the all-new 2019 BMW M850i Coupe, both on the track (Estoril) and on tight, curvy roads. When BMW announced the revival of the 8 Series nameplate most BMW fans who caught the original back in the 1990s were excited upon hearing the prospect of seeing it make a return. 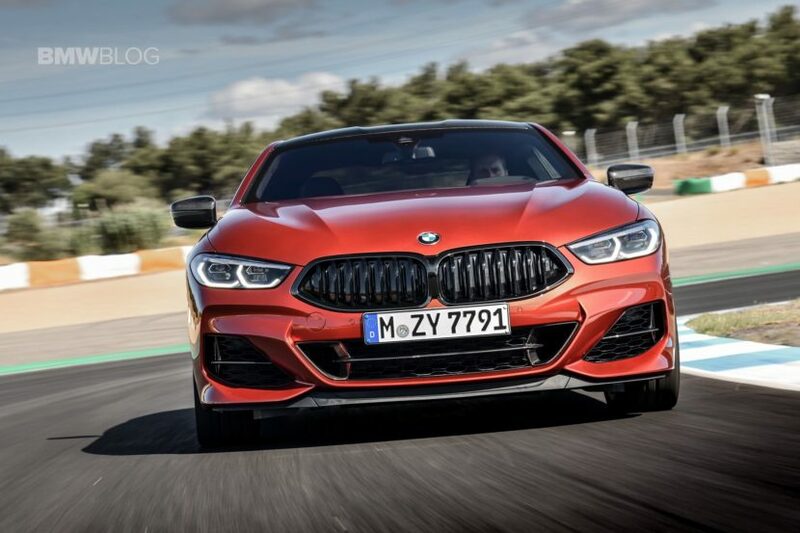 However, the news was bittersweet since we then learned that the arrival of the 8er will also mean the departure of the 6 Series. While most of us expected the 8 Series to be the biggest Coupe BMW made and the 6 Series to become a smaller, lighter, possible Porsche challenger, the Germans had different plans. The idea behind the new 8 Series was to offer the highest level of luxury possible in a Gran Tourer without sacrificing performance nor comfort. In the end, this a segment with a more mature clientele that tends to balance out things in life. 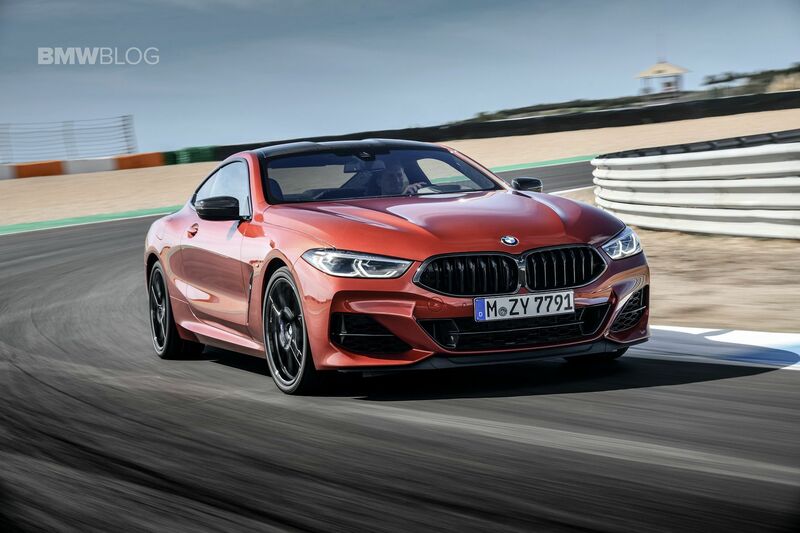 I would venture to call the new 8 Series the “Swiss Knife” of the BMW family, a car that doesn’t aim to excel at one thing, but rather be more than good at everything. BMW also calls it the “gentleman’s car”, a form of respect, regardless how you’d like to approach the description. 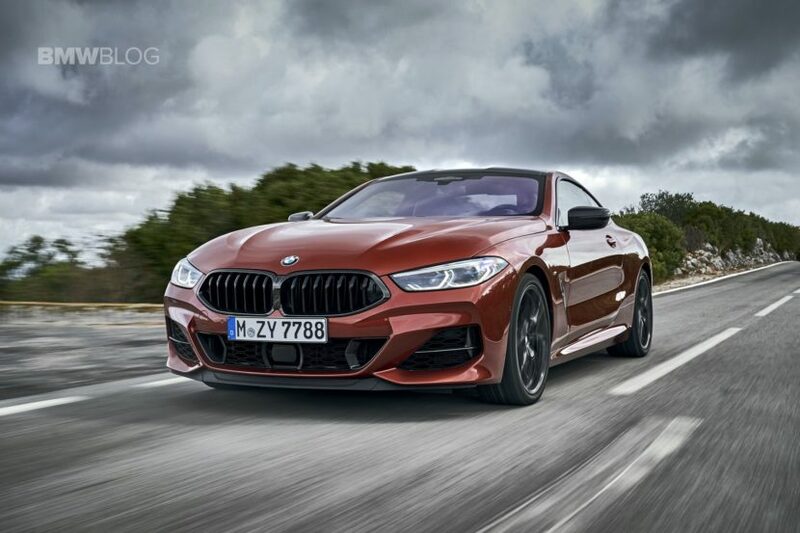 The new BMW M850i with its xDrive configuration is the fastest non-M car ever made by the Bavarians (some would argue that the M760i is the other one), with an impressive 0 to 62 mph (100 km/h) spring in just 3.7 seconds, and an equally impressive low center of gravity which is godsend on any race track. The 8 Series segment is also a strange one. There aren’t many cars that fall under that Gran Tourer / Gran Turismo / Large Coupe type of design, so it’s hard to find a direct competitor. 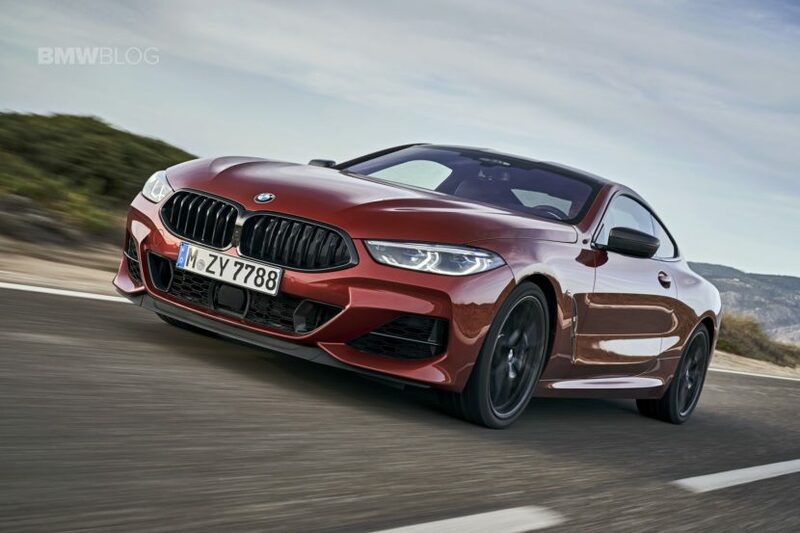 BMW says that their goal was to position the new 8 Series in between the Mercedes-Benz S-Class Coupe (a model they believe is geared toward more luxury than sportiness) and the Porsche 911 (clearly a true sportscar). So in that category, the closest you’d get as far as competition is the Aston Martin DB11. 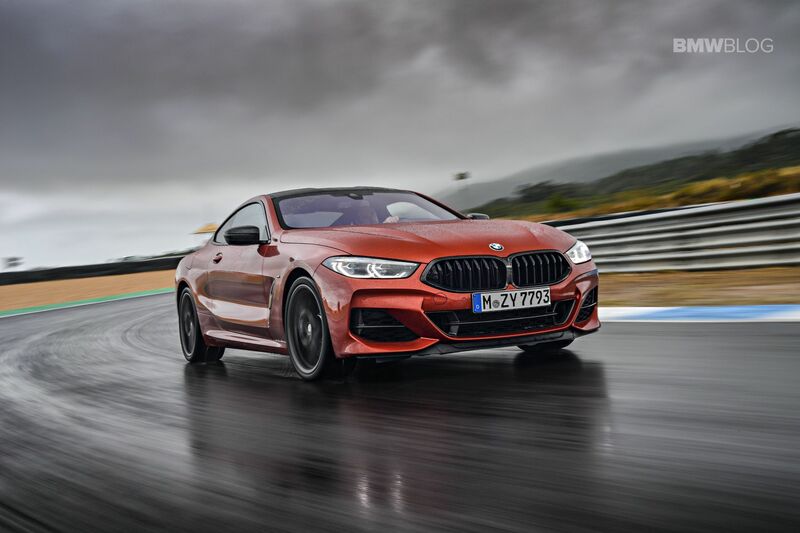 Its wheelbase is 123mm shorter than the S-Class Coupe’s, but 17mm longer than the DB11’s, while the BMW M850i sits low, it’s sleek, relatively short and wide, like a proper sport GT car. It’s also almost as pretty as the Aston Martin DB11, maybe even prettier in some respects. It’s less gracious, but more raw and aggressive, thanks to those wide hips and large air vents. It’s fair to say that large cars don’t seem much track action these days, yet, BMW felt comfortable to let us spin – literarily – the new M850i Coupe on the track in Estoril. 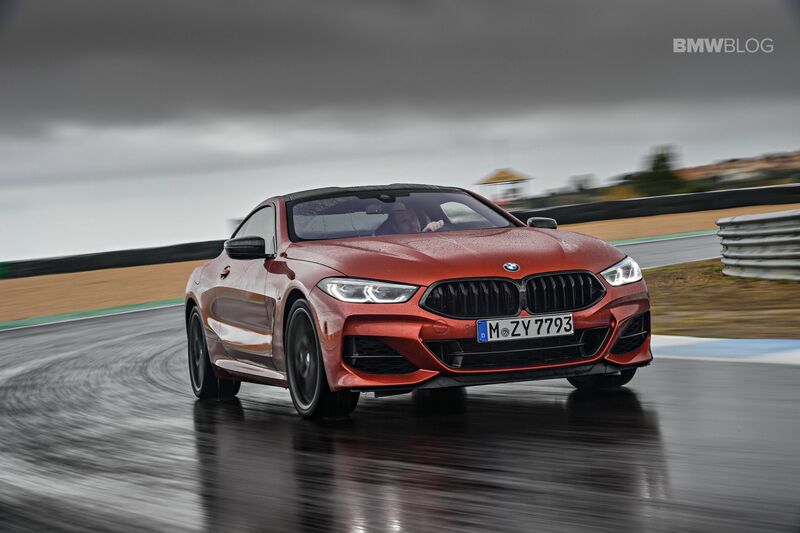 In our interview with Bernd Limmer, Project Manager BMW 8 Series, we’ve learned that BMW wanted their luxurious Gran Tourer to be a capable track conquerer without much effort from its driver. 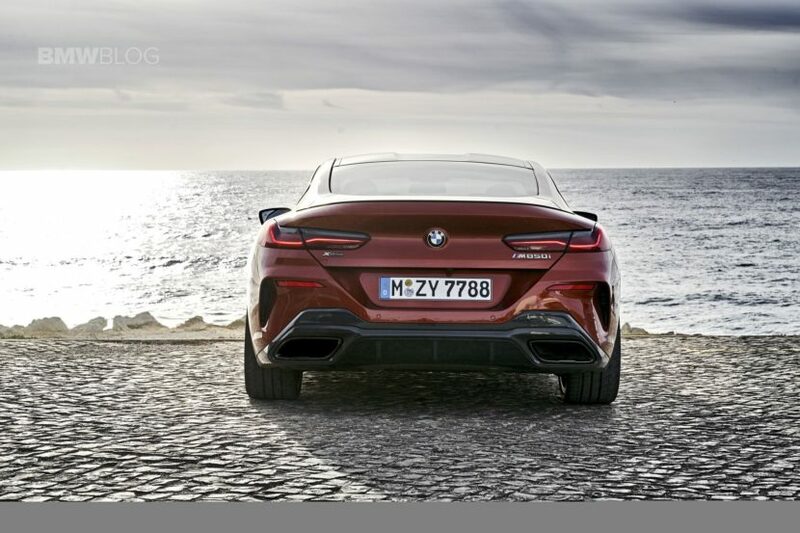 So with that in mind, the 8 Series was equipped with a suspension featuring a mix of double wishbones up front and multiple links at the rear, along with a four-wheel steering system paired with an active variable steering ration for the front axle. The Adaptive M Sport Suspension is optional, but as always, great to have, same as the active anti-roll bars. But let’s pause for a moment to learn what all those terms mean. The electronic damper system and the Adaptive M Sport Suspension in the 8 Series offer a wide range of driving dynamics, from comfort to sport, while delivering plenty of stiffness in the chassis of the 8 Series, something that BMW believes is important to their target customer. The four-wheel steering system is not only useful in city driving and parking, but also on tight bends where it helps disguises the heft. The active roll stabilization uses an electric swivel motors on the front and rear axles which essentially has one goal – to deliver sporty handling. And then, of course, we have the award winning xDrive system which gets a rear-wheel drive character. It’s now past noon and surprisingly for Portugal, we get hit with a lot of rain, pouring down rain which makes life even more complicated on the track. Yet, BMW assured me that the M850i Coupe, even with its performance tires, will be just fine. Philipp Eng, the BMW Motorsport Factory Driver, is leading the way of with one goal in mind – to guide me through the fast and wet track in Estoril. I’ve said it before, the former Formula 1 track favors cars with a lot of power and immediate torque, it’s adorned with lots of fast corners and long straightaways where you can really put all that power down and take the car to its top speeds. First lap, as always, it’s a guided one where I get to re-learn the proper racing line and braking points, and also a chance to familiarize myself with the car. At fairly low speeds, I get to test the M850i’s cornering capabilities, trying to slide it a bit in order to see how the xDrive system reacts. DSC is still on, especially since a few minutes into my laps, the visibility in front of me was less than 10 meters, which can be challenging for a professional racing driver, let alone for an amateur racer. Eng encourages me to pick up the pace and trust the driving assistance systems, considering that all of the nanny-aids were still on. Despite the extremely slippery surface, the traction of the M850i xDrive is simply impressive. In some of those fast corners, I pushed the car quite hard hoping for a big slide, but the DSC kicks in at the right time, delivering a controlled drift. On corner exit, with the full power down, the all-wheel drive system and four-wheel steering help pull out the car in an elegant and fast manner, simply making the driver feel quicker than he really is. The standard eDifferential for the rear axle balances out the car at high speeds while letting you have some fun when needed. It’s non-intrusive and doesn’t have a big impact on stability and grip under full power. It’s just there to help you have some fun while making sure you get home safely. As Eng picks up the pace, I find myself pushing the car at speeds over 130mph which on a wet surface can be nerve wrecking. 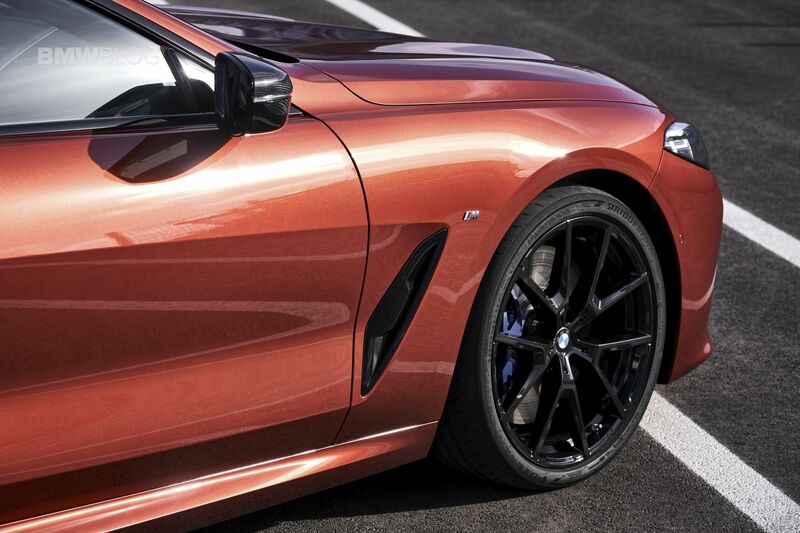 But this is when the M850i’s brake-by-wire system starts to shine. The new braking system cuts the physical link between the pedal and the brake system itself. The brake pedal becomes just an interface through which the driver informs the car how much they want to slow the car down, the car then interprets that input, and activates the brakes. Sensors and actuators read the amount of pressure a driver inputs, and this force is transferred to all the brakes from the master cylinder using hydraulic fluid. Therefore, even when the brakes get heated, the driver will experience the same behavior as before – same brake point, same travel, same characteristics. Nothing more I could ask on this wet Estoril. 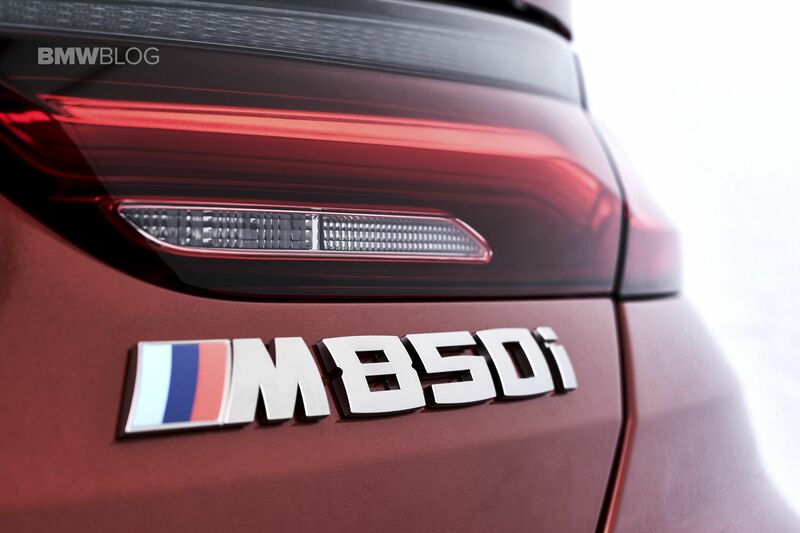 A major factor for the M850i’s straight-line performance is the revised ZF eight-speed automatic transmission. The new gearbox in the M850i is in its latest generation which brings extremely fast and smooth shifting. The refined ZF box has a wider band in the first to third gear (for CO2 reasons), while the maximum torque of 750Nm (553 lb-ft) is delivered between 1800-4600 RPM. Keep in mind, the BMW M850i xDrive weighs a whooping 1,965kg (4,332 lbs), which by any standards, it’s quite heavy, so even being so competitive on the track proves the amount of engineering that went into the car. Now, let’s talk about the steering input, the popular topic among journalists. As I’ve gotten used to by now, it starts off fairly soft when not in Sport or Sport Plus. It doesn’t have a lot of direct response when cruising, but luckily, the Adaptive M Suspension changes all of that. Once in the sportier modes, the steering wheel firms up, along with the suspension, it becomes heavier and you can start to feel the contact patch. Especially on the track, the input becomes more precise providing that much needed feedback when cornering and adjusting to the racing line. 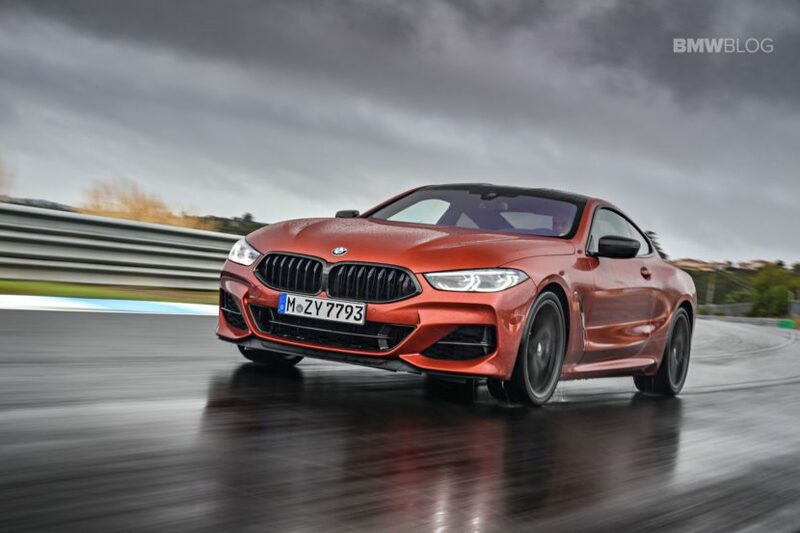 Not much of a surprise here, it’s pretty much the same formula BMW is using in other M Performance Automobiles, but maybe a bit more impressive in the case of the M850i Coupe considering its size and weight. In my own words – It’s fun! After some thrilling track laps, it’s now time to head out on some familiar surfaces. BMW is known to use the Sintra – Cascais areas north of Lisbon for their test drives, considering the great driving roads available, and beautiful scenery. In the end, this is a Gran Tourer for the luxurious customer who enjoys taking long drives in exquisite places. Now with the Atlantic Ocean on one side and the mountains surrounding Sintra on the other, it’s time to see how this big tourer handles the tight hairpins. Ignition – on, Sport Plus mode – checked, sunglasses – on, chill music – selected. The growling sound with loud pops of the M-tuned exhaust system is starting to get heard, and they’re even more obvious to everyone when in Sport Plus. While some may call those “pops” a gimmick, I think it’s refreshing for the driver to be reminded that he or she is in a sportscar. 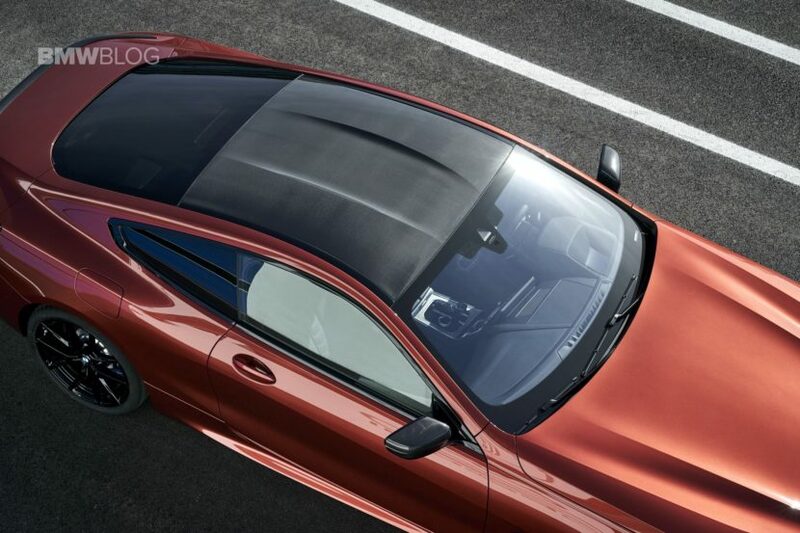 It’s also a way to immerse the driver into a fun state of mind to inspire some spirited driving. The long and heavy luxury cruiser now adventures into those tight corners, with its agility being kept intact by the electrically controlled dampers and four-wheel steering. The stiffer suspension and great tire grip keeps the car balanced in those corners, with some body roll as expected. Defying the Netwon laws has always been an engineering challenge, so it’s fun to see those “matches” with each new BMW model. 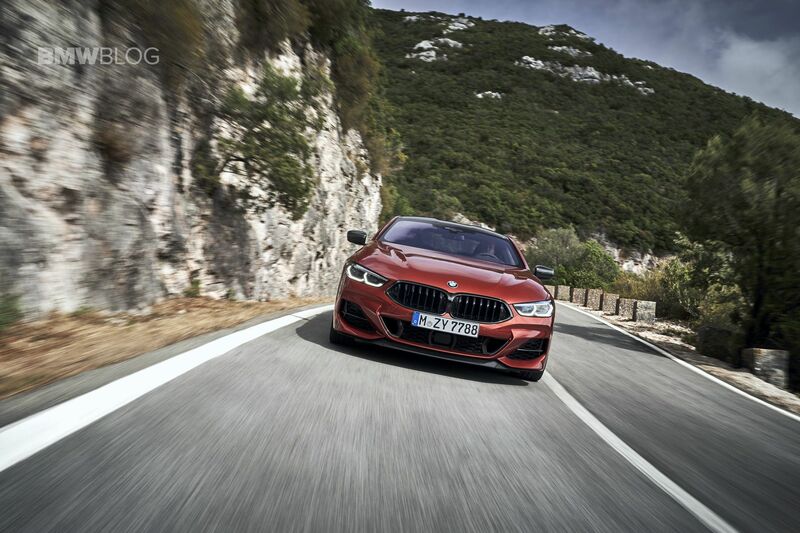 The eDifferential works even harder on those roads with one single goal – enhancing the sporty nature of the M850i Coupe. The xDrive system is as superb as always, so when the weight transfer going into the nose and moving you away from the perfect corner line, the all-wheel drive will kick in to point you in the right direction. 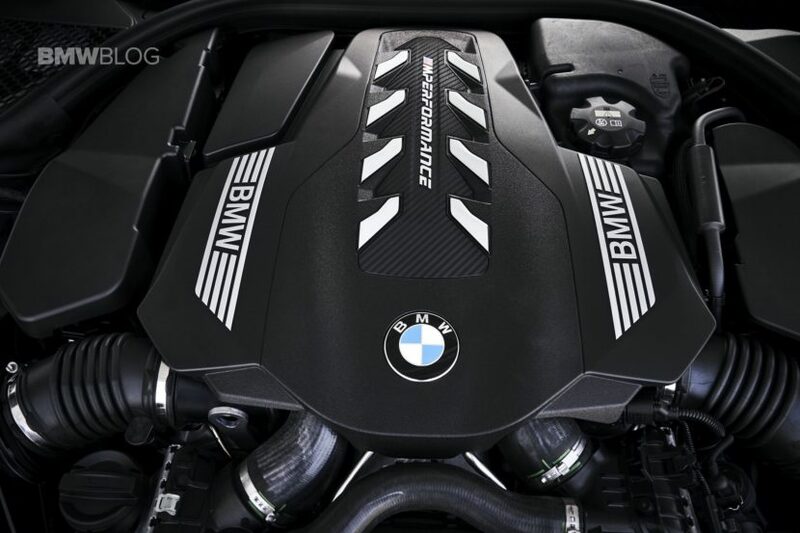 The TwinTurbo V8 successfully performs its duties reminding us that this is one of the best engines ever made by the Bavarians. 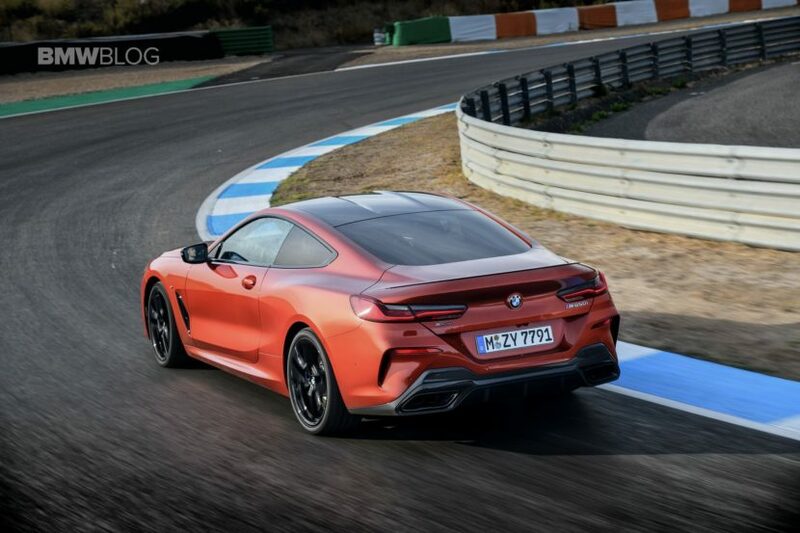 But unfortunately even the hard pulls and fast sprints can’t hide the weight and size of the 8 Series which is more obvious on narrow and curvy roads than on the track. The wider spread of gear ratios (from first to third) matches perfectly the character of the Gran Tourer so, just like on the track, the shifting is smooth, precise and intuitive. Just for testing purposes, I put the car back into the Comfort mode, which surprisingly, sounds better than in other BMWs, thanks to the sometimes opened exhaust valves. Of course, everything gets cozy now in the M850i, the ride is calm, soft and uninspiring, but that’s something that many of the 8 Series customers appreciate. One last thing about the ride comfort. Even though is labeled as a four-seat Gran Tourer, the M850i can realistically only sit two people. At 1.89 meters tall (about 6″2-6″3) I’m on the taller side of things, but even someone slightly shorter than me would have a hard time sitting in the back seat for prolonged amount of times. The knee space is limited, same as head and shoulder room, so it’s not the most comfortable space to place yourself in. 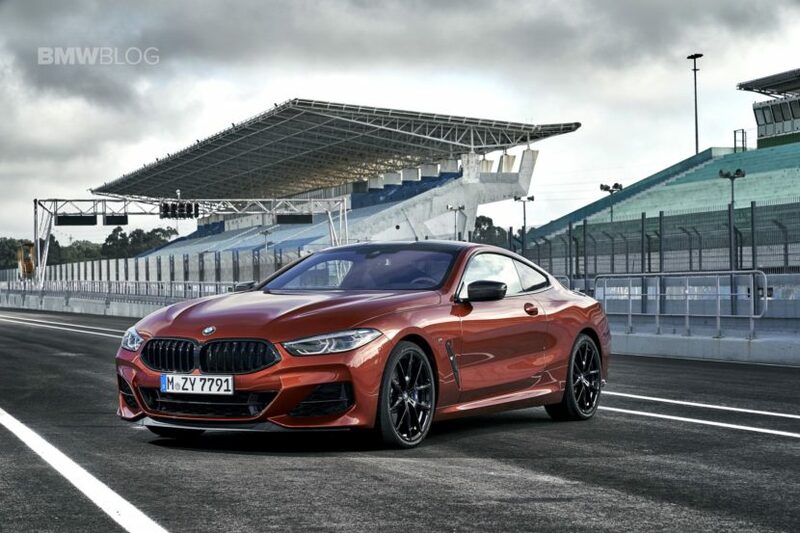 BMW markets the 8 Series as ‘The Gentleman’s Racer” so they’re not far off in their claims. 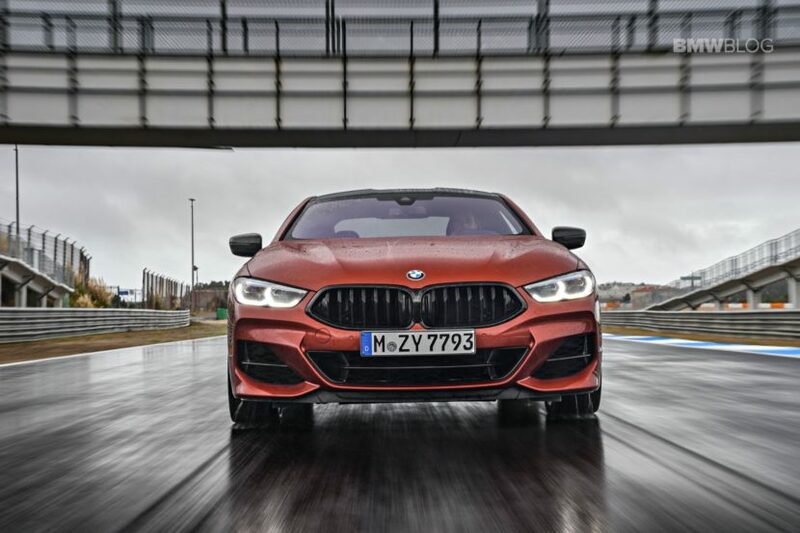 It’s a great well rounded automobile that does many things right, covering a wide range of customers and driving scenarios, while leaving room at the top for the almighty M8. Its design is appealing, the technology and craftsmanship is the best BMW can offer today, and the car’s character can be highly customized and adjusted to your needs. I’m also happy that BMW has not given up on the “driver focused luxury coupe” segment, considering that the 6 Series (and especially the Gran Coupe model) has been one of my favorite BMWs to drive in the last decade. There are still customers who value the sound of a proper gasoline engine, along with extensive luxury and great driving dynamics on request, so for those reasons, the new BMW M850i Coupe is a great addition to the BMW portfolio paving the road for the other models in the family and especially for the M8s.